Join pastry chef Kathryn Campbell in this hands-on workshop. Limited to a maximum of 8 students per session, this class promises energetic one-on-one instruction. Simple ingredients are transformed, through clearly demonstrated steps, into light, fluffy delicacies. We provide all the tools and materials you'll need in our large commercial kitchen. You'll work in pairs of two to prepare the batter, then divide up to pipe your own shells. Kathryn will demonstrate how to prepare two types of fillings, and then you'll have the opportunity to fill and assemble your macarons. 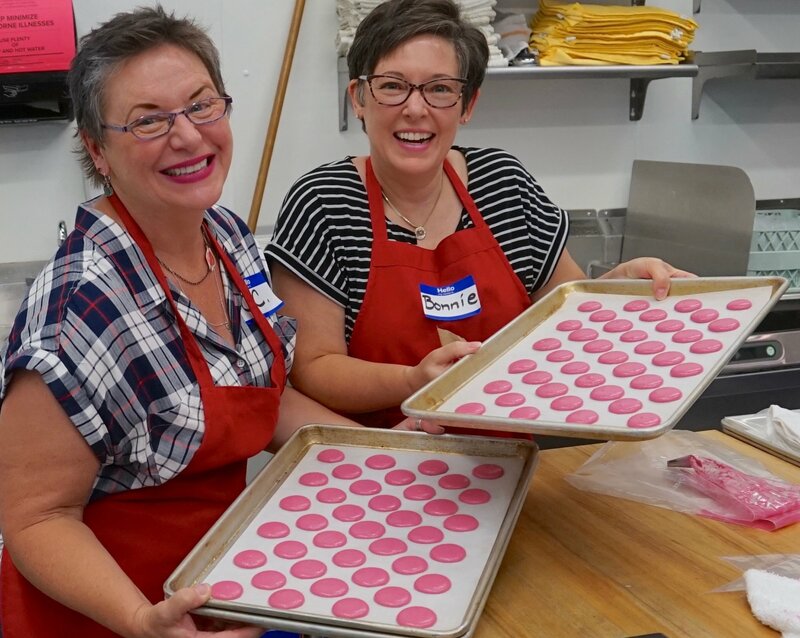 At the end of class, you will go home with recipes for the shells and two filling bases, instructions and helpful tips, and professional packaging for the over 30 French macarons you made (unless you eat a lot along the way)! Requirements: Ages 8-14 may come with an adult taking the class. Ages 15+ may come unattended.